Hardwood floor refinishing is a subject that is fairly misunderstood. The mistake people make is in thinking its an easy straightforward process. “All it comes down to is applying sandpaper to wood and then applying a finish,” goes the thinking, “how hard could it be”. On the contrary sanding and refinishing hardwood floors is a fine art. 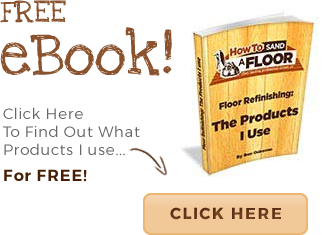 There are lots of articles on this website that will give you the technical instructions to enable you to sand and refinish your floors. However, in this article, I want to introduce some key concepts that will help you better understand the floor sanding process. You will learn the one key difference between the average DIY enthusiast and a professional floor refinisher, something you can implement easily. 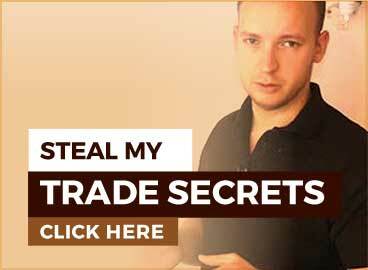 This will hopefully convince you to use the methods and machines that I recommend. That is, rather than listen to the advice of the guy at the rental shop. Let me address this right here, right now. Most of the drum sanders that you can rent to sand your floors are actually lacking in power! As you would see in my video course, in which I use rental machines, it takes me a very long time, going over the same area again and again with the coarsest grit, just to get it flat and clean. It’s not the power of the floor sander that inevitably causes the damage. However, if you don’t use the machine correctly, you can create a dent in the surface of the floor. People that don’t research the subject whatsoever and don’t realise they have a problem, can cover their entire floor in these dents, much to the amusement of floor refinishing professionals across the globe when surveying floors for estimates. To get a good idea of how to use a belt or drum sander (big machine) click here, but in short, these dents are created by lowering the drum of the big sander on to the floor before you start moving forward as well as stopping the machine before you lift the drum off the floor. They are created when the abrasive is in contact with the floor, but the machine is not in motion (moving back or forward), it is just stood still. Well, my friends, there is a simple trick that can help to mitigate this to a huge degree. All you need to do is use a 100 or 120 grit paper while practising your big machine motion. 120 grit is so ineffective at sanding through finish or removing a lot of material that even if you make a mistake, it won’t damage your floor. To the extent that it does create an extremely shallow dent, it will disappear with the first proper sanding pass. I have used this technique to teach people to use a big machine in 30 mins. Just teach them the motion, put a fine or even used fine grit sandpaper on the machine and let them thrash it out until they have it sussed. One of the very frustrating things about refinishing hardwood floors yourself DIY, is finding countless sanding imperfections (scratches) in the wood that weren’t visible until you applied the finish. Now the finish has been applied, they are standing out like a sore thumb. The best way to mitigate this is to stick to the floor sanding grit sequence guidelines in good faith. Starting from the top, you want to use a coarse grit sandpaper to remove the old finish, dents, scratches and to level the floor. This is 36 or 40 grit. Occasionally, professionals may use 24 or even 16 grit before 36 or 40, on floors that are very uneven, hard and/or covered in difficult to remove materials like polish or carpet glue. You should use this coarse grit to get the floor completely flat and clean. Don’t leave finish or dents in the floor, telling yourself you will remove it on the next grit. This will just make the job harder and more frustrating. Keep going until there are no old finish or dents in the floor before moving onto the next grit. Then we have the medium grits, 50 and 60. These grits are for bridging the gap between the course grits and the fine grits. This is where a lot of mistakes are made. When DIY’ers see their floor clean and flat after sanding it with the rough grits, they think they can skip to the fine grits. “Sure it might take a little longer to get the scratches out with this one finer grit, but it must be quicker than doing two grits,” goes the thinking. It may even be quicker, but you are almost certainly going to leave scratches in the floor that are going to stand out like a sore thumb when the floor is finished. I am thinking of refinishing my floor but it has glue on it. Should i strip the floor with a paint thinner first or start with a 36 grit and sand only? Also, do you always sand at a diagonal or only with the first and second sanding? Great post, I’m extra to try your technique. Really appreciate your professional insite as I am about to refinish the hardwood in my house. I do have a question about the sanding grits. At what grit do you transition to a buffer machine? I understand a drum sander is used for the 36, 60 and even 80 grit but as you approach the 100 grit would a drum sander be the best option or a buffer? Additionally what is the advantage of sanding at 120 vs 100? What would be better if I plan to stain the floor? Final question, would you recommend applying a stain, letting it dry, then applying a lacquer? Or buy the products that are stain and lacquer in one? Thank you for your time and energy! I have thin old wood floors and the finish is completely gone in some spots. Would you recommend screening instead? Your videos are very useful. I’m a hobby cabinet maker & still learned a lot from you. Thanks. Your video on applying floor stains was very useful. Have you got one one on how to apply varnish? I’m applying a water based Nano Defense Varathane. Waterbased because my two grandsons (5 month and a 4 year old) often come over & I don’t want them to inhale solvent fumes. I do, just head to my youtube channel, should be easy to find. I have more in my video course. Thinking of refinishing the oak floors before moving into a new house, and have a couple of questions: Would you ever skip the belt/drum sander and go straight for a random orbital sander on a (oak) floor that’s in pretty decent shape, i.e, generally pretty flat and level, with some worn areas but few or no major dents/scrapes? Most of the floors in most of the videos look in much rougher shape than ours. Second: How do you deal with transitions between different rooms if the floor is continuous with no thresholds, but not all the rooms need refinishing? Thank you for all your videos, super helpful! I just moved to the states from Europe into a very old house and want to re-finish the floors. I have a couple questions now since the house and possible the floors are very old: how do I know that the wood is still thick enough to be sanded properly (drum sander + finishing sander)? I assume the wood is stained oak (as far as my amateurish eyes can tell), is there any easy DIY way to find out what specific type of wood this is? Thanks so much! if youre in the states, you are probably right, but unfortunately no, easier to send it to someone with some knowledge. If it’s a dark colour but the grain is very polarised, like brown and black, its probably stained oak. Difficult to say, maybe google stained oak! I have gone throught the grit sequence and everything was great until I applied the first layer of stain, which revealed some mystery footprints that did not belong to anyone involved. It was recommended to me to first go through with a 120 buffer screen to open up the stain. After that, to mop over with a TSP solution. I am reading about TSP and this stuff seems pretty strong. What you recommend in this situation? I recommend lightly resanding the floor to take the stain off and start again. Any moisture will pop the grain. Recently my employee walked on the floor with sweaty socks before we were about to stain the floor. All of his footprints came in through the stain. invisible beforehand. Throughout about 60% of the floor in my first level of my house, Can it be fixed? Or do i need to replace the floor? The first floor is all oak Hardwood. About 60% of the floor has these dents throughout. I am contemplating getting estimates but the first guy that offends me May end up getting tossed out. I don’t know if it’s ficabe and don’t want to find out angrily and would like to avoid throwing someone out of my house if I can. They’re not quite as deep as your picture, but they’re all the exact same size and shape and he did it in a lot of the house. Refinish or replace ? Thank you in advance. Hello from the states! Ifound your videos on YouTube and you kindly replied to my question about my floors in a 250-year-old home. THANK YOU!!! What do you advise about how (or whether) to fill in the gaps between planks. My floors have wide gaps between most planks. It looks as though something was there in between them once upon a time, but now it’s just dust/dirt/what IS that stuff?? that gets sucked up in the vac when I run it. Should those gaps be filled? I’ve seen videos that use stained rope stuffed into the cracks for filler, but it looks like the rope is all they use. Other videos show using handmade wood strips which they then plane down and presumably sand (labor intensive plus 100) once flat. Thanks a million! Any advise?